After learning in a yeshiva for many years, a friend of mine finally decided that he would take smicha — a complex examination that would enable him to practice as a rabbi in a community. When he passed the test and was awarded his smicha — a rather unimportant-looking document that looked more like a letter from the water company than a diploma — his rabbi suggested that he get it written out beautifully onto parchment by a scribe and present it to his parents so they would appreciate the significance of his achievement. Truth be told, there is no higher calling, no more important job than the learning of Torah for its own sake. Rabbi Chaim Velozhiner writes in Nefesh HaChaim, that were there a split second where someone somewhere was not learning Torah, the entire creation would return to primordial chaos. But it’s difficult to see that, and so Torah scholars are often looked at as Torah schnorers. When the kohen ate from the offerings it was as though the offering was ascending from the Holy Altar to the Heavens for the benefit of the supplicant. 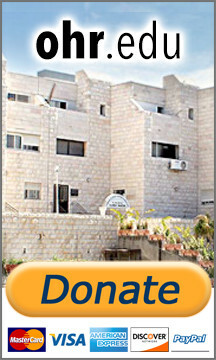 Funding Torah scholarship is the same as an offering to the Holy Temple. It brings forgiveness and holiness to its patron.